The Village of Gowanda Public Works Department is the operations component of Village government. The Department manages, operates and maintains the streets, storm water drainage system, landfill post closure operations, parks, water treatment plant, water distribution system, wastewater treatment plant, New York State Department of Health approved Environmental Lab, wastewater collection system, municipal parking, sidewalks, equipment maintenance garage and refuse and garbage disposal. The Streets and Parks group reports directly to the Superintendent, and is headed by a Crew Chief for Streets & Parks. This group is responsible for street construction & maintenance, snow removal, sidewalk maintenance, and general support activities. They assist all other groups within Public Works as directed by the Superintendent. The Village Board contracts with Casella Waste Systems Inc., for all garbage services within the village. In addition, the Village operates its own Composting Site on Aldrich Street that is available to all village residents and businesses for biodegradable waste, excluding garbage. Solid Waste Services are a direct responsibility of the deputy Superintendent. Water and wastewater services include three groups who deliver water and sewer services to the Village. All staff members are fully trained and licensed to perform services under the auspices of the Erie County Health Department and the State of New York. Gowanda owns and operates its own waterworks that is located in the Village. 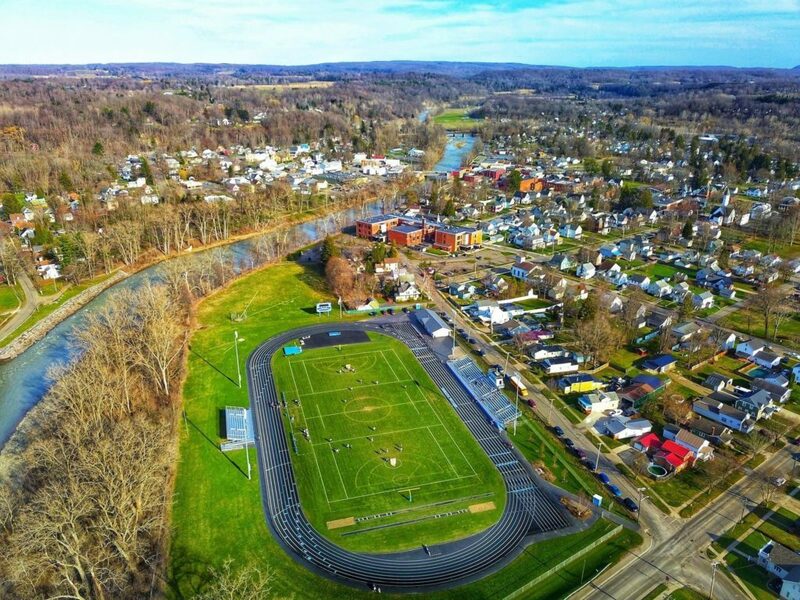 Gowanda has a long tradition of providing quality water at a very cost efficient price to residents and businesses within its boundaries. Gowanda owns and operates its own sewage treatment plant on Aldrich Street. The plant has been built and is maintained to support the residential and business needs within village boundaries.